ng4T participates at the ETSI NFV Plugtests with its Cloud VNF vTester. The NG40 Cloud VNF has demonstrated high compatibility with numerous MANO implemenations and Hypervisors. The real live mobile UE traffic generated for control and user plane allowed major NEM and Open Source 4G Core implementations to test scalability without a radio interface. 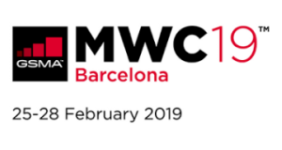 We would like to invite all our customers, partners and friends to visit our booth 6N30 at the end of Hall 6.
and for 4G we have an on-air setup with real UEs, an SDR based eNB and docker based EPC+IMS components (MME+HSS, SGW and PGW+IMS). Feel free to see live streaming and VoLTE calls with our Network-in-Box solution. "After four years of R&D with Intel Labs, we’re excited to unveil today our open source effort we call the Clean CUPS Core for Packet Optimization (C3PO)." says Dr. Ron Marquardt, VP of Technology, Sprint. ng4T RAN emulators and MME were used as the test harness for benchmarking.